Winter is coming to Long Island which means its time to get ready for some snowy day fun! As the snowflakes begin to fall families across the Island bundle up and head outside for snowball fights, snow angels, snowman building, ice skating, and of course, sledding! Though Long Island is relatively flat there are still plenty of places to visit across the Island for snowy slopes. Many of the Nassau County and Suffolk County parks allow the public, weather permitting, to use their facilities for sledding purposes. These parks have great hills to slide down and in a safe environment away from cars and buildings. Not all parks on Long Island allow sledding and often times those that do allow it have their own set of rules that sledders must abide by. Certain parks also need a certain amount of snow accumulation before they deem the hills safe for public use and some don’t allow certain types of sledding vessels, like blow-ups or tubes. With all of this in mind, before you bundle up and head out to the snowy slopes, call ahead and make sure the facilities are open, available and ask what their specific rules are for sledders. 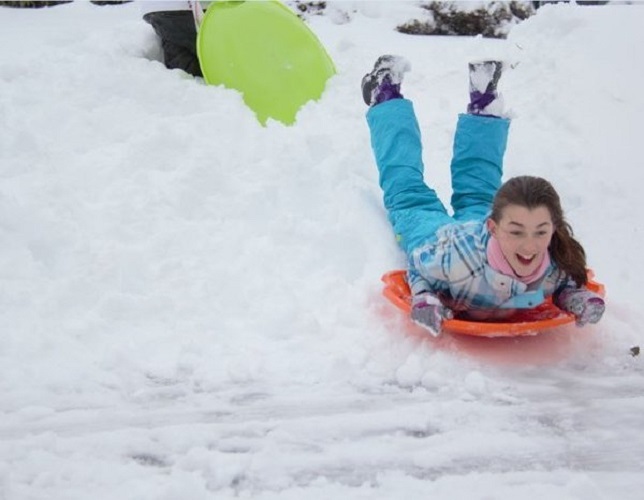 Here are great locations around both Nassau and Suffolk County for sledding! *Some of these may be unofficial sledding spots so they may be unsupervised. Show caution. Dead Man's Hill in North Valley Stream, Southbound Corona Ave between the entrance/exits of the Westbound Southern State Parkway. Parking is around the corner. A young Long Islander enjoying some snow day fun! Photo by Ralph C. via LongIsland.com's Winter Storm Juno Photo Gallery. 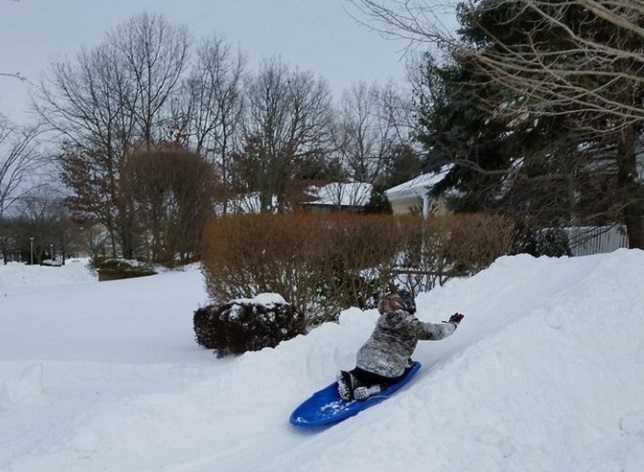 What are some of your favorite spots on Long Island to go sledding? Let us know by e-mailing them over to us here!